Riverfront Home on 1+ Acre in Roseburg, Oregon! Riverfront home close to the city but offers country living with lower county taxes in desirable Charter Oaks. A must see, just adorable & move in ready! 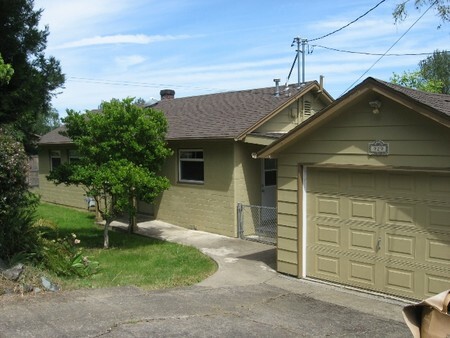 Has been remodeled & updated with cabinets, corian countertops, tile. Has small family orchard & room for a horse or cows.